RJCC Events can provide microphones, lecterns, projection, flat-screen TVs, PA systems, staging and stage lighting for your conference or product launch. Based in Oxford, we can supply AV and projection equipment to ensure your company or product is seen, heard and consequently understood by your colleagues and clients. 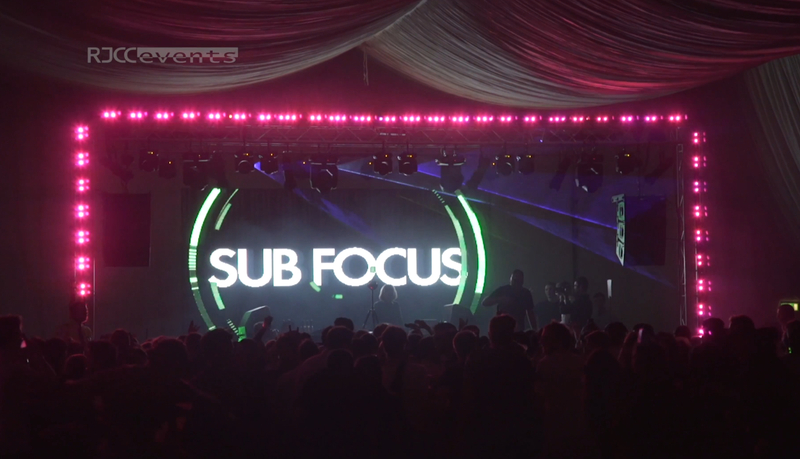 We work with a huge range of professional audio visual equipment which is also available to dry hire to include d&b Audiotechnik PA systems and innovative new products such as LED video walls together with pixel mapped LED fixtures, projection and media servers to make your event a visually stunning and unforgettable production. From small meetings of 5 to large exhibitions and conferences of hundreds we're the production company that has got you covered. Less than an hour away from London you can choose RJCC Events as your production company for your next conference, product launch or corporate event safe in the knowledge that we're highly competitve on pricing and close enough to be reliable and deliver consistent professional results. 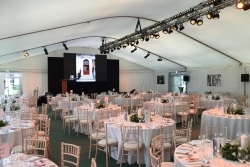 To the left you can see an example of two large projection images we did for Oxford University's Balliol College for their 750th Commemoration Ball in 2013. 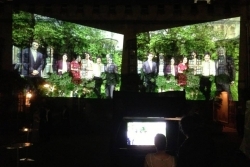 These images were projected onto the buildings and spanned approximately 15 meters wide. The next generation of DJs have arrived with video effects and visuals to enhance their performance for your party, festival or ball. 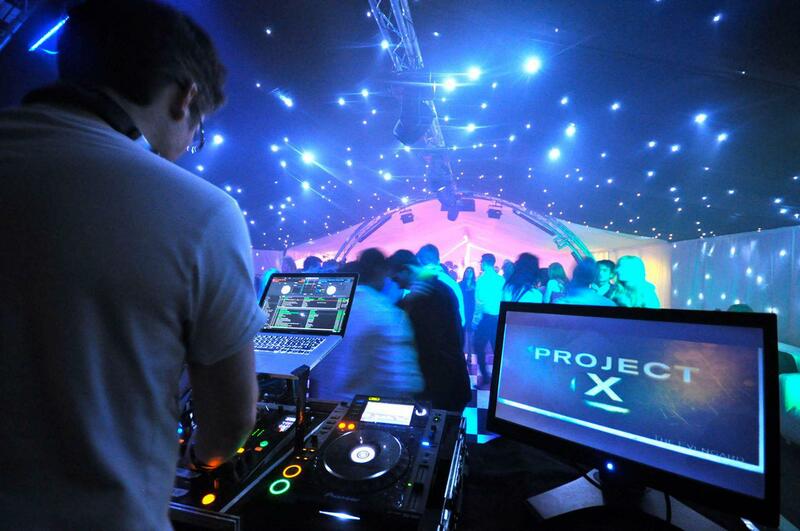 Our DJ's mix music videos which will be displayed on large flat-screen TVs, projection screens or LED video walls. RJCC Events also supply full lighting and sound production for boxing events all over the UK from King of the Ring at the Kassam Stadium in Oxford to Gentlemen's Fight Night at Oxford Town Hall.